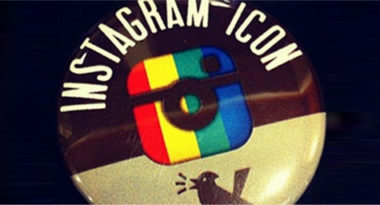 Since its launch in 2010, Instagram has become a hugely popular photo-sharing app. It gained such a large following in such a short time that it was quickly acquired by Facebook last year. While it’s been predominantly used for personal sharing, some savvy marketers and brands have begun to realize its extraordinary promotional potential. Since only the most forward-thinking businesses have started using the universally-appealing app, now is the time to get involved in Instagram and make a major an impact before your competitors do. To help marketers understand the social etiquette and proper protocol needed for using this influential app, Marketing Profs.com offered these six smart suggestions. 1. Do Post Appealing Pictures That Represent The Brand’s Products And Principles – Rather than a platform for advertising, think of Instagram as a place to educate, excite and engage with people about what the brand is about. Take pictures that show the brand in its best light and post them as a way to make users feel comfortable and amiable with the brand. 2. Do Offer Exclusive Peeks And Behind-The-Scenes Shots – These casual, fun photos have a way of quickly winning over fans. They give the impression that the brand is sharing their human side with the fortunate fans that follow them on Instagram. They are also frequently shared by users, which provide brands with even greater exposure and the halo of recommendation. Consider showing how products are made, an average day in the office or just employees having fun. All that matters is that the photos reveal what’s unique about the company and make viewers feel like they’re in on a special secret. 3. Do Engage Fans And Invite Them To Join In – Participation is the essence of social media and Instagram is an outstanding place to use photos as a way to reach out and connect with people. Post pictures that capture users’ attention and entice them to comment or ask additional questions. Build up a rapport and following by encouraging users to share pictures of themselves using the brand’s products under a certain hashtag. This makes users feel like the brand really cares about their personal actions and about making products that they will enjoy. 4. Do Use Instagram To Host Contests And Build Buzz For Brand News – This is a great way to get people to use a brand’s hashtag while generating lots of excitement and buzz for the brand. It’s important to position brand announcements as ways to share special information with the brand’s favorite fans and not as a means of PR. 5. Don’t Use Instagram Only For Advertising – This is the general rule for all social media, but it is particularly true for Instagram since it can both bother and bore users and even spark a social backlash. Instead, focus on sharing facts and features about the brand in a friendly and casual way. This is much more appealing to the Instagram audience because it positions the brand as one that engages with its community rather than one that only cares about sales and success. 6. Don’t Sign Up And Then Abandon The Account – As with all social media, it’s essential to continually engage with users in order to maintain their interest. If a brand just signs up and doesn’t make an effort to develop a presence and a following, it can have an extremely negative impact on the brand’s image. 7. Don’t Post Too Much – On the other hand, it’s also important not to post too often since it will seem like the brand is inauthentic or trying too hard. It’s alright to post once or up to a few times per day, but it’s better to focus on quality than quantity. By following these few recommendations, brands can build up a strong Instagram following by showing their social sides. Implement a social media marketing strategy that incorporates Instagram to help educate, excite and engage people about your brand . Contact MDG Advertising. MDG Advertising, a full-service advertising agency with offices in Boca Raton and New York City, is one of Florida’s top digital marketing agencies. Our 360° approach uses just the right mix of traditional and digital marketing to reach your advertising goals. While some industries may fare better in print and others online, we strive to create a balanced approach, where traditional, social media, and digital marketing efforts support each other and your message is tailored to the medium. To learn more about the latest trends in marketing and advertising, contact MDG Advertising.